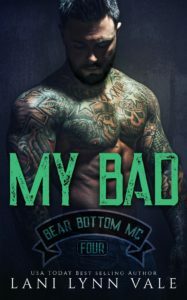 My Bad follows Pru and Hoax in the Bear Bottom Guardians MC series. Hoax has been on a medical leave from his job in Delta Special Forces after a motorcycle accident. A few weeks shy of leaving to return to duty, he meets Pru. Pru has zero intention of dating a military man. While Hoax doesn’t admit it, Pru knows that Hoax is military through and through. Hoax is a persistent man (much like most of LLV’s men) and once he has his heart (or something else) set on Pru, he won’t give up. When Pru ends up knocked up and dealing with a total douche canoe of a boss at work, Hoax is thousands of miles apart and doing everything he can to get home to her. Despite how fast it all happened – will Hoax be okay with the insta-family situation? Will Pru relent and allow herself to fall in love with a military man. One click now to find out! 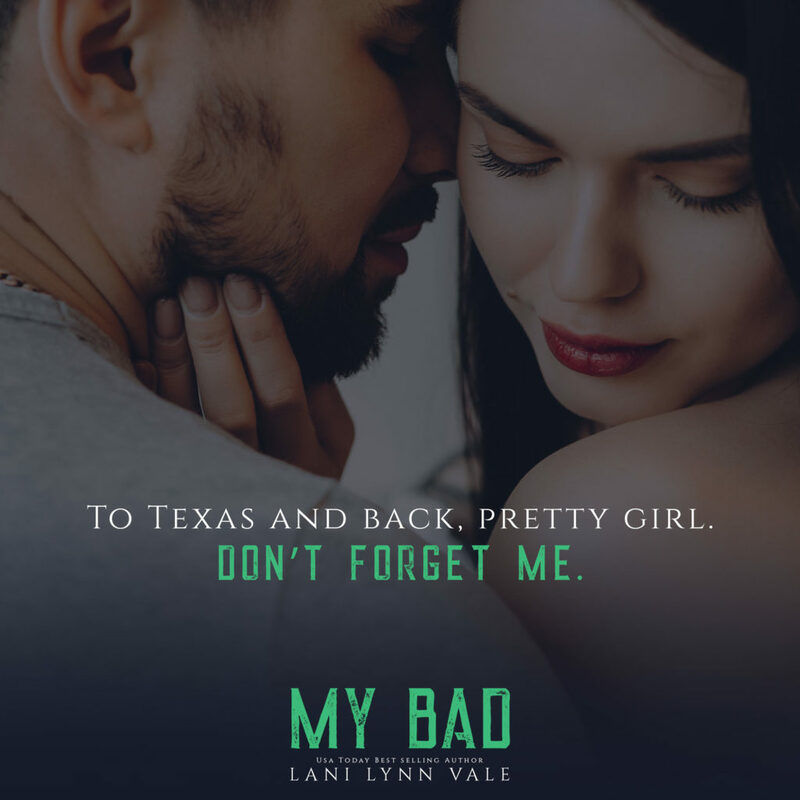 This entry was posted in Blog Tours/Promos, New Releases, Reviews and tagged Bear Bottom Guardians, Hoax, Lani Lynn Vale, My Bad, New Release, Pru, release blitz, Review by kmarvin317. Bookmark the permalink.